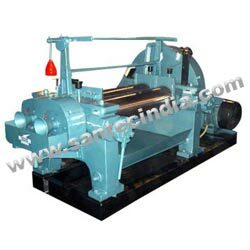 Santec is a rubber machinery innovation company engaged in manufacturing and exporting of high quality rubber processing machines. The company always keeps a tab on the emerging market requirements and latest technologies. The companys core business competencies are in understanding customer needs, creative problem solving and technical implementation. Preparation of feasibility studies and detailed project reports. Preparation of detailed process specifications and quality assurance procedures. Project management services to ensure completion of projects on schedule.